The debate of wide versus exclusive rages on and one and on. It’s a question often asked. Should I be exclusive? Should I be wide? What will make me more money/happier/more successful/prettier? Valid questions that no one can tell you a definite answer to. Oh, some will try. And they’ll often be right. It’s been discussed here and on the interwebs. Less is spoken about the benefits of non-exclusivity, or wide, but you can find those, too. I will speak upon these benefits with the hope that when making the decision wide or exclusive, you consider them. DISCLOSURE: I’m not saying go wide. I’m not saying you should ever leave Select. I’m not saying wide is superior. I’m not saying you’ll make more money or less or be better looking if you go one way or another. I’m exclusive myself. I made that decision based on my own circumstances and goals and as part of a (flexible) business plan. I also throw out #probably‘s like they pay me too. Because shoulds are banned here. No shoulds. Nothing works the same for everyone. Nothing is true for everyone. *Traction on other retailers by building a fanbase that uses another retailer exclusively. *A fanbase of buyers on Amazon. Like you said, many KU readers won’t buy. They simply are too voracious to be able to afford all the books they read in a month. Some may buy from their favorites, but not new authors. Unless you are one of their favorites (general you), leaving KU means they won’t buy your books. A lot of people who go wide use a distributor because it’s easier. If you’re moving over 20+ books all at once, that’s a lot of work. But distributors take a (rightful) cut. Having less books to move over (or publish at a time) takes a bit of stress out of the situation. Moving from a distributor to direct often means starting over with reviews and such on your books. Visibility on the other retailers is less competitive than Amazon (US). And there are a few promos available that also boost eyes on a page. (The equivalent of something like an Amazon Prime Reading deal, but on Apple or Kobo or Barnes and Noble. Bookbubs are easier, but a Bookbub is not an I WIN button anymore. It’s a nice boost, though, especially with a solid backlist and sell-through. Gaining the visibility in the first place is harder than on Amazon, usually. Keeping it is easier (than Amazon). Other than accounting for returns, you know what you are making when you make it. A fluctuating page rate has no effect on you. No possibility that the pages you thought you had earned weren’t legitimate and/or are taken away. That itself can be a nightmare if you base your advertising decisions during a month by calculating revenue based partially on page reads. Page stripping is really outside of your control. You won’t know it’s going to happen until it hits. ~There’s a small risk as well of having your account terminated based on KU manipulation accusations (whether they are true or not). I do believe it is a very, very small risk to the point it doesn’t work into my consideration. One of the biggest advantages to being exclusive and in KU is increased visibility. Amazon visibility works based on the algorithm. Frequent releases, high ad spend, established fan-base, high borrows (regardless if it translates to actual page reads) and any outside manipulation by others in KU affect that visibility. Amazon US is competitive. For those who can’t compete at the level required to gain (and hopefully keep) the visibility that leads to organic sales, the boost from KU is a lot less meaningful. One of those big factors is release schedule. KU loves churn. But go too long without a release and income may start to drop. That’s true outside of KU as well, but diversifying on other platforms (and on other Amazon countries) can steady and smooth out income so it isn’t as variable. 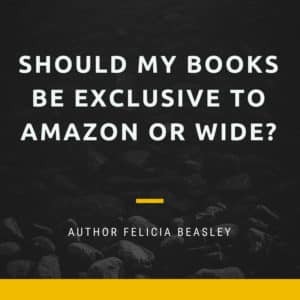 New authors are often told to start exclusive and then move wide. This isn’t bad advice in general. Exclusive is easier to gain initial visibility. It’s less work and management. It’s easier to run a positive ROI with advertising (usually) on fewer (even one) book to start and causes a higher ROI over a series (#probably. There are always exceptions). Many times advertising is needed for new authors to gain that initial visibility (that is then boosted by borrows). For many authors in KU, income skews page reads (this is dependent on things like genre, book price and book length, etc). When faced with something like 60-70% page reads and 30-40% sales, leaving KU feels insurmountable. And it might be. At least in the short term. And if you’re only making $1,000 a month, $600 of that page reads and $400 from sales or something, it feels even harder. It might not be the income loss of someone making 5 figures a month, but it feels like going backwards. A lot. And at a certain point, it can be the difference between writing full time and going and getting another job. Even though, if you’re making a smaller amount of money (like low four figures or three figures) it’s easier to make up (easier, not easy) than someone who needs to replace five figures of page reads with sales. Transition from KU to wide when you’re comfortable in KU is scary and seems (and might very well be) a bad business decision. There are plenty of benefits for being exclusive and in KU. Wide isn’t the better option. It doesn’t work that way. It’s like being thrown into a hole and told to get yourself out. The more you make with KU, the more you depend on those algorithms and KU fanbase, the deeper the hole. All those benefits of being wide take time to build. It’s one of the reasons new authors are told to go exclusive to start. The belief that ‘if something goes wrong, I’ll just go wide then’ dismisses both the benefits of being wide to begin with and dismisses what an effect a mass exodus of authors from KU would do for visibility on the other platforms. It also makes the assumption that being forced to move wide at a later date will have the same negative impact in the long term that moving wide earlier would. It assumes the money made now in KU will be greater than the money made wide in the long term. This is based on the assumption that the amount of money potentially earned when an author is forced or finally chooses to go wide is the same amount of money potentially earned if they’d been wide a lot longer. Which isn’t a valid assumption. 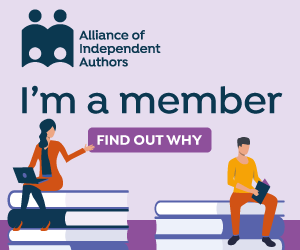 Going wide, especially for authors dependent on KU, can mean a big loss of income and be basically starting over (depending on fanbase built prior). You also have to factor in the difference that you would be making wide/sales on Amazon if you’d gone wide a year prior versus going wide now. And then take that in consideration moving forward until the point where revenue earned would match between the two, which might never happen. It could mean you would always make more wide if you’d started wide earlier than starting later. Now it isn’t making X times 12 more but rather Y more times forever minus X times 12. Is X times 12 more than Y times forever? Do you focus on making more money in the short term to end up making less money overall? Or do you focus on making less money in the short term to end up making more money overall? Neither. Because neither is for sure. This is why giving the advice that someone (especially newer authors, but really anyone) should be exclusive to start as blanket advice is potentially harmful to that person’s career. Individual circumstances need to be considered when making that decision. And while I’m dooming and glooming here, know that the decision is not irreversible. Don’t give yourself an ulcer fretting over finding the right answer. There is no absolute right or wrong choice for each person, either. We also have to be careful as publishers not to make decisions based on assumptions, other people’s experiences/advice, and without considering those unknown factors that aren’t readily apparent. We should (#probably) consider our own assumptions, test the validity of them, and always, always, always have a back-up plan.